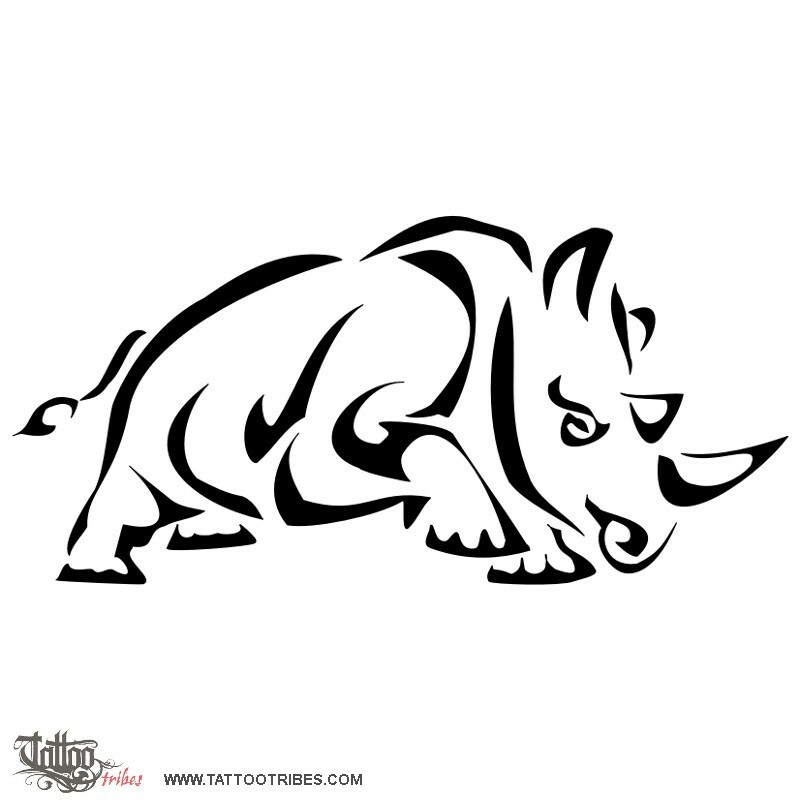 Henrik requested a stylized tribal rhinoceros, charging and with a fighting look. 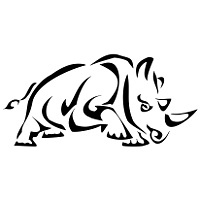 Rhinoceros is a symbol or protection and achievement of one´s goals. Being stable and well connected to earth, and having a horn that points towards the sky are seen as the ability to draw from both physical and spiritual power. The horn itself is also a symbol of virility.